Trump International Golf Links, Scotland. Set amidst The Great Dunes of Scotland, Trump International embraces mile after mile of spectacular Aberdeenshire coastline and guarantees the experience of a lifetime. Against a dramatic North Sea backdrop, the award-winning championship course offers breathtaking scenery and an unparalleled test of golf. 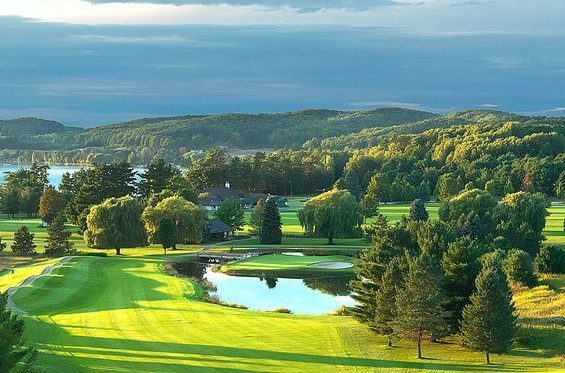 Highly-acclaimed 7,400 yard, par 72 championship course is designed by renowned links golf architect, Dr. Martin Hawtree, and follows a classical pattern of two out-and-back loops of nine. Woven through the majestic dunes, the course rises to find panoramic views of the sea and plunges into secluded valleys with each hole boasting distinct characteristics and unique features. Experience the unrivaled beauty, atmosphere and Scottish hospitality of Trump International – the ultimate golfing destination.